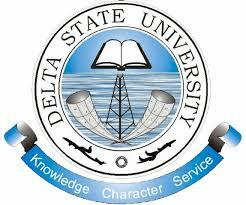 The Management of Delta State University (DELSU) is hereby inviting from suitably qualified candidates for admission into the underlisted Postgraduate programmes leading to the award of Postgraduate Diploma, Professional Masters, Academic Masters and Doctor of Philosophy Degrees of the Delta State University, Abraka. List of those offered provisional admission into any programme will be published in Abraka Campus. Screening of provisionally admitted candidates and payment of fees will commence immediately thereafter and end on 31st August, 2018. 0 Response to "DELSU 2018/2019 Postgraduate Admission Form is Out"